Qawwals, Kathak and Indian Food! 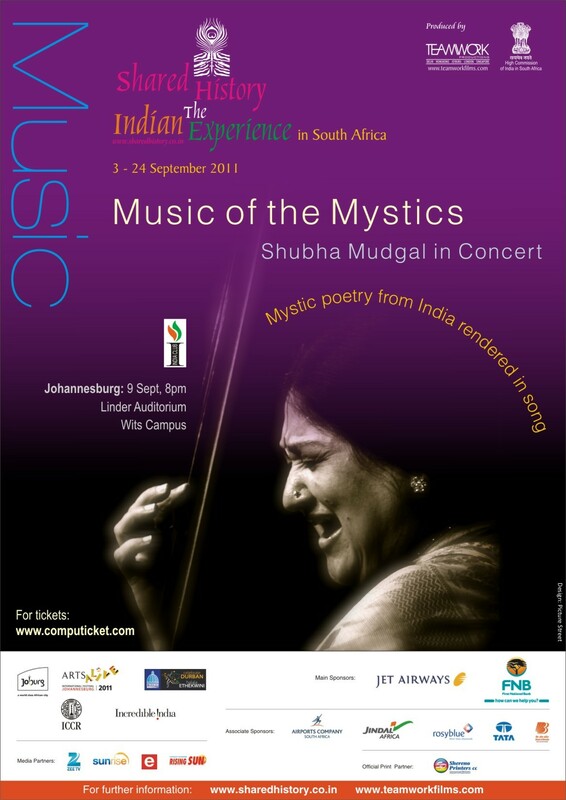 Qawwali, Kathak and Indian Food Fest presented by The Indian High Commission in Pretoria in association with the Dept of Arts & Culture. Ghungroo Dance Academy is a professional Dance Institute. Specialist in indian dance styles of Kathak, Bharata Natyam and the ever popular Bollywood. Contact them today for your booking for your next event!